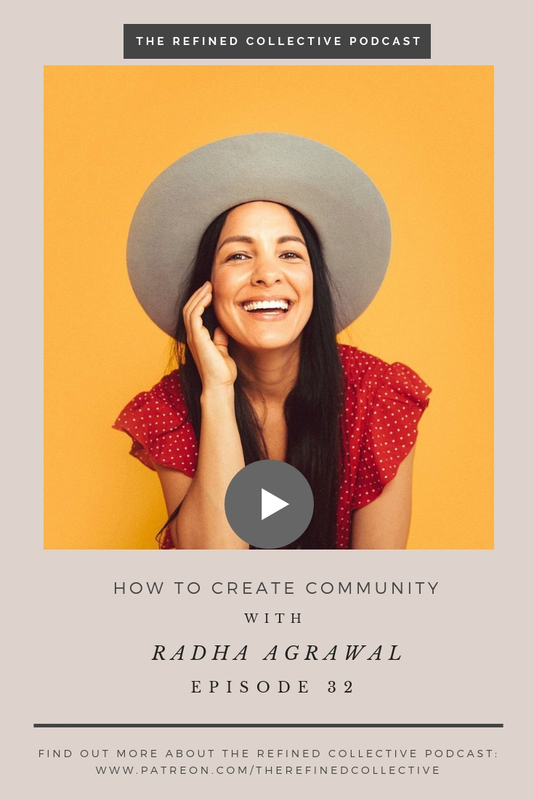 I am so grateful to be chatting with Radha Agrawal on the podcast today. She is the co-founder, CEO, and chief community architect at Daybreaker (the best morning dance party ever). She is also an entrepreneur, having co-founded THINX and LiveItUp, and the author of Belong. I could go on and on about these incredible titles, but let’s dive into who lies beneath all of that. We talk all about what her journey to motherhood has looked like and how she has worked to create community in everything she does. She waited 36 years to find the love of her life. She remembers questioning whether she wanted to have children, but she met her husband and realized she wanted to create life with him. When they tried to have children, she got pregnant right away. Unfortunately, she miscarried right away as well. A month and a half later, she got pregnant again. Today, she is seven months pregnant with a baby girl. Her book explores the idea that we are all looking to belong. However, as a country, we are lonely and isolated. She recognizes that the sensitivity of rejection keeps us from reaching out and building community. She talks about the fear surrounding leadership on all levels, whether that leading a team as a CEO or reaching out to a friend to see if they want to hang out. We talk about the importance of community, and a community of many people. We can’t put the pressure of serving every role on just one person. She remembers not feeling connected to the friends she had in her twenties. From that moment forward, she made the changes she knew she needed. She explores the struggle of labels. The labels we place on ourselves hold us back from growth. Imagine your typical wild Saturday night out. But replace the alcohol with breakfast treats. In the early hours of weekday mornings, Daybreaker gives people the place to be who they are, whether they want to be social or want to keep to themselves. It involves yoga, dancing, and is all you can eat and all you can drink. Pretty much the greatest experience ever. She addresses the fact that technology has the power to distance us from each other. Don’t you just love Radha? I did not want to end our conversation! To keep up with her and her work, head over to belongbook.com to order her book. You can also find her at Instagram.com/love.radha and at her website radhaagrawal.com. Send this girl some love. Thank you so much for joining along with podcast journey with me. Every DM, comment, and share means the world to me, my team, and my guests. None of this would be possible without you. Head over to the podcast app to subscribe so that you never miss and episode. I also want to invite you to rate the podcast and leave a review while you’re there! Thanks for the support and love. This episode is brought to you by the free PDF guide called “Moving Through Fear.” It is full of resources that I hope will help guide you through rejecting the lies in your life and finding the truth. The Refined Collective Podcast is hosted by Kat Harris. Her vision is to create a safe space for women and men to take off the super-man cape of having it all together, and share their stories authentically and honestly. People are dying for the permission to be vulnerable. But it takes someone being willing to go there first. Kat’s desire is to do just that and invite others to do the same in removing that shiny mask of perfection, and courageously sharing the imperfect journey of life, spirituality, love, career, and everything in-between.